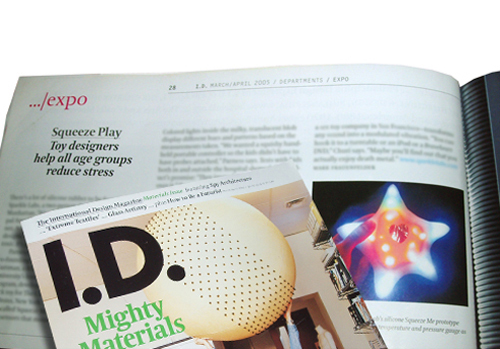 ID magazine wrote about us in their Mighty Materials issue in 2005. They focused on our Squeeze Me product, a portable biofeedback device. I.D. was inspired to write the article because of our use of FDA approved materials to prototype children's toys.